The Monaco Yacht Show is just around the corner and for the 4th consecutive year ACREW will welcome crew and business guests to La Rascasse during the Monaco Yacht Show 2018. Each year ACREW has seen high attendance at the popular seminars run onsite, commonly with over 100 participants. This year at the ACREW & IMM Crew Lounge the seminar topics are proving to be of tremendous interest with businesses and crew alike. The first seminar is Women in Leadership by ACREW and sponsored by The Crew Academy. This pivotal seminar led by successful and influential women to discuss the future of equality in yachting. Representing the first steps towards the bigger conversations needed, it is hoped attendees can become key drivers towards a shared understanding of the issues discussed. Findings will be shared throughout the industry for all to consider. The session will be divided into two parts, firstly a panel discussion investigating the key considerations the yachting industry needs to address. Secondly, delegates will break out in to groups to unpick specific issues and share advice and insights. Fundamentally, the discussions will be both positive and solution focused, leveraging and learning from the experience of the women in the room. It will be a women only space, designed to unite, inspire and empower towards a shared vision for equality in yachting. Caribbean Winter Season 2018/2019! Spotlight focus on St. Maarten and US Virgin Islands by IGY Marinas and Yacht Club Port de Plaisance. The seminar is first-hand accounts from Marinas, Business Owners and Captains on the revival of St. Maarten, US Virgin Islands and wider region. Discover what can Superyachts expect from St. Maarten this season and the latest onsite fact-based information on marinas, provisioning, airports, itineraries, tours, activities and key infrastructure details. Also find out what’s new in the latest Caribbean Superyacht cruising itineraries for 2018/2019. Our panelists share some specific itinerary options for Superyachts visiting the Caribbean region this season: USVIs, BVIs, St. Lucia, Panama and Costa Rica. On Friday, join us to investigate Does Green Superyacht Technology make sense to owners? By DNV GL. The shipping industry is under increasing pressure to act upon the Paris Agreement and reduce greenhouse gas (GHG) emissions. The substantial emission reductions which must be achieved over the next decades are expected to drive technology development and, in particular, the introduction of low carbon fuels. Furthermore, authorities are increasingly paying attention to the consequences of hazardous NOX, SOX and particle emissions at the local level. 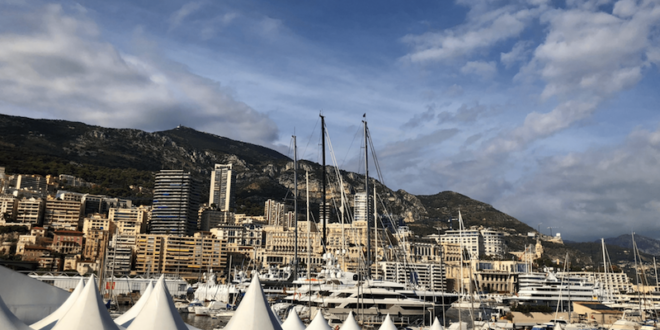 Reducing emissions to air and introducing new propulsion technologies are key challenges for the worldwide transport sector, including superyachts. The world’s future fleet will have to rely on a broader range of fuels, propulsion solutions and energy efficiency measures. 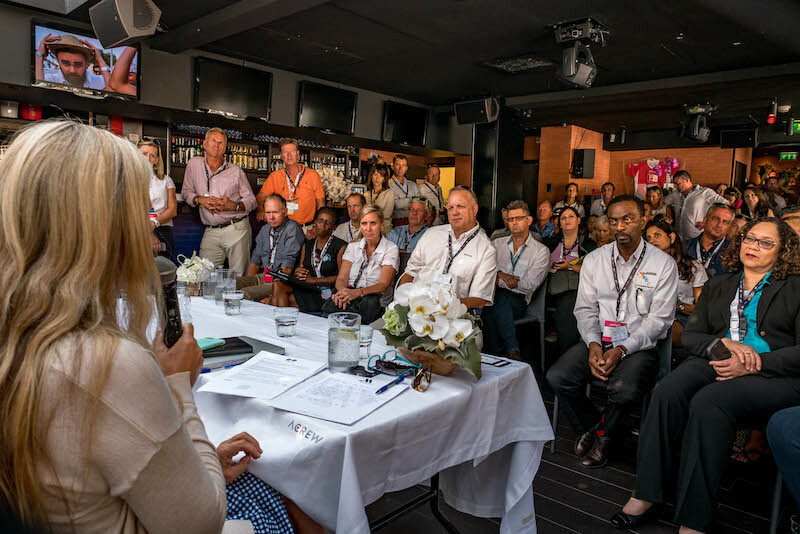 DNV GL hosts a panel of specialists including industry experts, captains and local authorities to answer the big question: “Will superyacht owners have to find greener ways to fuel their yachts? Will they want to?”. Sète, France joins the Mediterranean as the latest superyacht marina destination in the region. Our panel shares specific information on the marina and the strategic benefits to superyachts of berthing in this new location. The theme for the ACREW & IMM Crew Lounge in 2018 is “Yachting in the Caribbean”. ACREW has a long-standing connection with the Caribbean through its events at Christophe Harbour, St Kitts and Yacht Club Port de Plaisance, St Maarten. The Lounge brings the best of the Caribbean to Monaco so guests can expect a little calm, warmth and Caribbean heart when they visit La Rascasse. Some of the other highlights include the HR Crew VIP Crew Area where No.12 Fine Wines are running the bar. There will also be complementary massage services in the Revitalize zone and a tropical flowers zone. Every day from 12.00 – 14.00 our valued partners and crew are invited to a lunch on the garden terrace. On Wednesday guests are invited by Port Tarraco & PTW Shipyard – Melita Marine Group, Thursday join The Islander for lunch and Friday celebrates Superyacht Services Guide. As crew have a very busy schedule during the show, Heinen & Hopman, Angels Bespoke Events, Holland Marine Lift and Italian Superyacht Life have teamed up to provide crew with tasty lunches-to-go.